Many think ad-hoc testing their email by sending a test to their iPhone or Gmail inbox will do the job, but this isn’t always the case. Why? Because every email client’s rendering engine is NOT created equal. Almost every email client displays HTML differently because each client has its own unique way of interpreting your HTML. That is why your HTML code can get all jacked up in some email clients like Outlook even though that very same code looks like pixel perfection in another inbox. Before we dig into the four methods of testing to get the most accurate results, let’s discuss why testing your campaigns manually isn’t the way to go. There are two simple reasons: time and money. 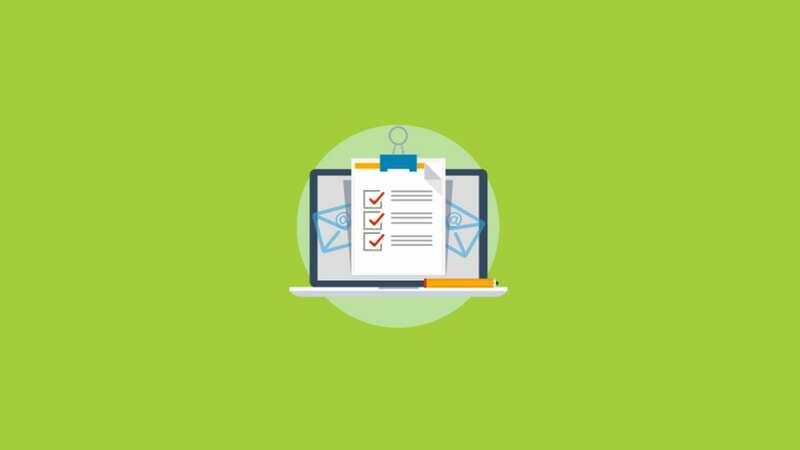 If you wanted to create your own testing suite you’d need to spend weeks creating new accounts in email clients like Lotus Notes, Outlook, Gmail, Office 365, Outlook.com, Thunderbird, AOL, Apple Mail and more! On top of that, you would have to pour THOUSANDS of dollars into buying all of the tablets, Androids and iPhones needed to exhaustively test your email on mobile devices (just one iPad Air will cost ya’ $449). 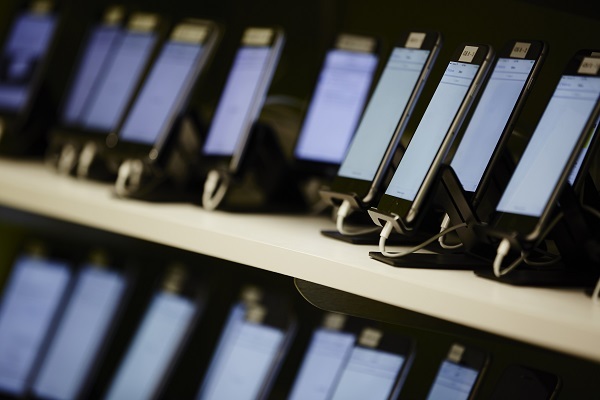 Take it from us, creating a thorough manual testing process will leave a hole in your pocket and waste hours of time. So, read on to find out how you can quickly test your email with turning your pockets inside out. The auto-process method allows you to send your email directly from your ESP to your Email on Acid account’s unique “auto-process address.” By sending from your ESP, you’ll be able to preview your email exactly how it will look for your customers. Testing with this technique will give you the most accurate results and allow you to catch any modifications to your code that your ESP may be making. On top of yielding the most accurate results, this method is also the most time-effective because all you have to do is hit “send.” When we receive your email, we process it automatically and your test results will be available in your dashboard in moments. One thing to note, you must use absolute references to make sure your images resolve properly—this is the industry standard for sending emails. Run an auto-process test by sending an email from your ESP to your Email on Acid account’s “auto-process” address. You can find your account auto-process address by clicking on the Results Inbox in the left navigation bar. The address appears just above your list of tests. If you don’t have access to your sending ESP, don’t worry, we have other options for you. However, using auto-process will always provide the most accurate results. If you are suspicious that your ESP is causing an issue with your renderability, the “Cut/Paste HTML,””Enter your URL” or “Upload Zip File” methods described below can be used to confirm or deny that suspicion. If your results from a test run by one of these methods looks different than your auto-process test results, your ESP is probably modifying your code. This testing method is advantageous for developers who prefer to work from a direct URL. As described in the auto-process section, many ESPs modify the raw HTML and unless you are sending from that ESP, you will not catch those issues testing this way. If this is the most effective way for you to test at the moment, we require that you use absolute references to make sure your images resolve properly. For more advanced users who understand that images must be absolute on the final send, you can adjust your user settings to allow relative references. If you choose this setting, we convert all relative image paths to absolute based on your URL. Just like URL testing is based off the preference of the developer, so is copying/pasting code to run a test. This method requires the use of absolute images too. 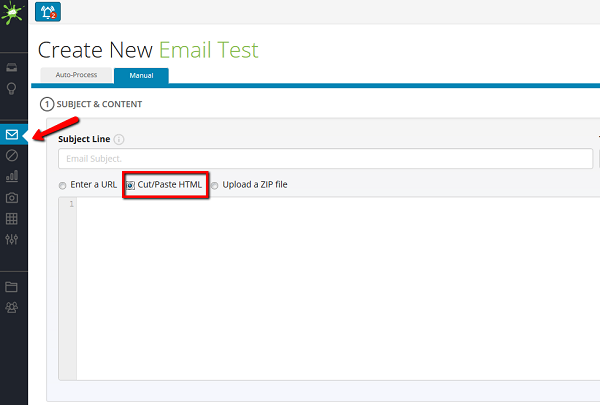 Run this test by logging into our system and selecting “Email Test” from the left navigation bar. Then select “Cut/Paste HTML” from the list of options under “Subject & Content.” Paste your code into the box, select the rest of your options and hit the “Continue” button at the bottom. If you work from your local files, this method of testing is right up your alley. Uploading a zip file should be used with caution because this method accepts absolute OR relative references to your images. If we find a relative reference, we convert it automatically. When you send your final email, image references MUST be converted to absolute references. In other words, this option is for people who understand the importance of absolute references in email but do not wish to convert them during preliminary testing. 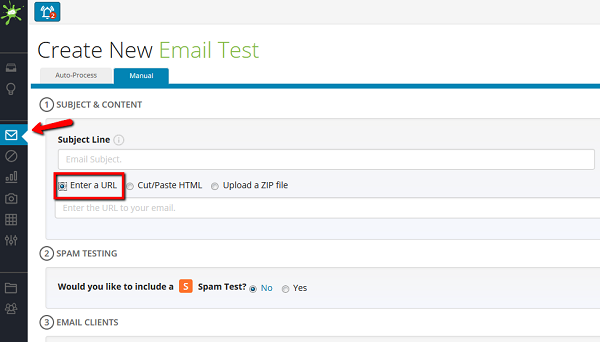 Run this test by logging into our system and selecting “Email Test” from the left navigation bar. 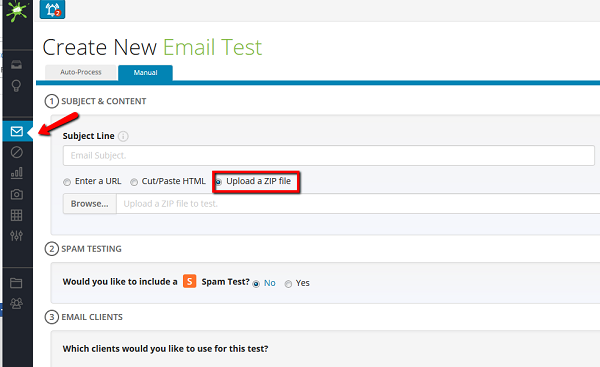 Then select “Upload a ZIP file” from the list of options under “Subject & Content.” Click “Browse” and select the correct .zip file, select the rest of your options, and hit the “Continue” button at the bottom. You’ll need to have all of the elements of your email present (HTML files, images, CSS files, etc.) in the archive, with the correct relative references. Confirm that this is the correct file on the next screen, and your test will begin. There are tons of popular email clients today and each one has the potential to display your email campaigns differently. Plus, with the introduction of the beast that is Outlook 2016 and the way Android continues to strangle responsive design, it’s critical to ensure that you preview your email in the most popular inboxes BEFORE you send. Try us free for 7 days and get access to unlimited email, web page and spam testing so you can send with absolute confidence.